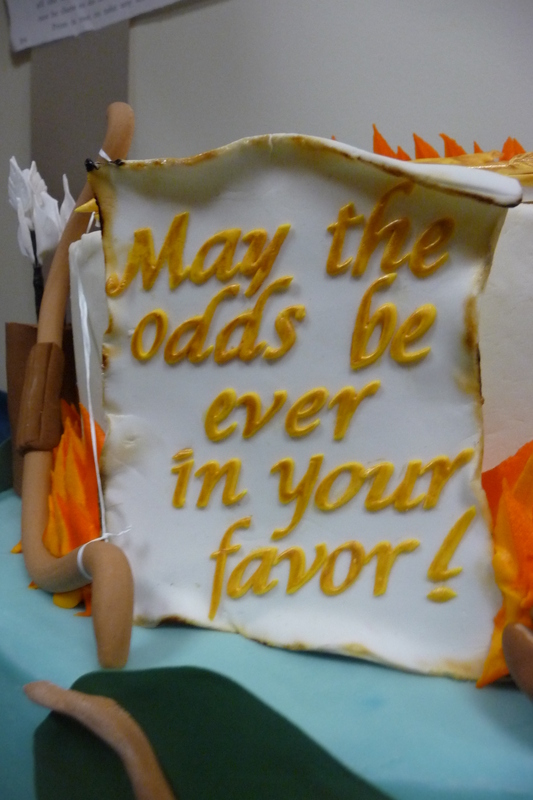 Reading, writing, dreaming, steampunking, Hunger Games survival training…and more. Register for Teen Summer Reading at http://www.readsinma.org/sandwich. ‘So easy and you receive a gift card to Chipotle Restaurants. Please search high and low for great things to do this summer (including relaxing) and don’t forget your local library (or any library, anywhere). There is still room in the Steampunk Oddments Workshop with Nettie Berkeley. Register online at http://www.sandwichpubliclibrary.com, Events. You need to have hit the lucky ’13’ years to do this, though. Have a great summer and keep in touch. 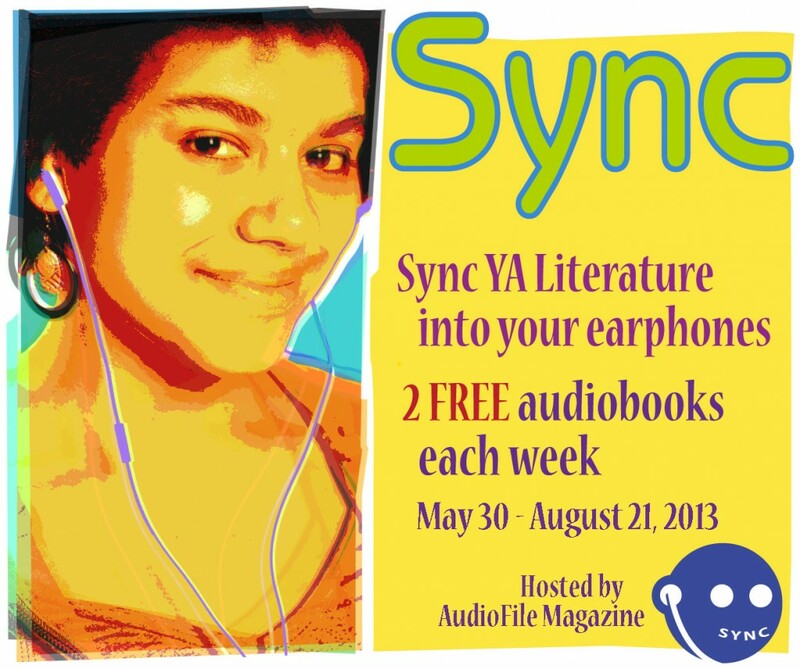 Sync this week has one of my favorite books from the past year. Remember, FREE and GOOD are a great deal. Sometimes – most of the time – other people write better than me. Throwing in a couple of review snippets from authors you may have read, I will put in my own 2 cents for this title that I found pretty darn readable. Three key words to describe this first-time author’s book: wild, dragonly, sensory…but let’s add three more: allegory, choices, fantasy. And there are more words that could pull out a sense of the book but this is the gist of the story. Marni is a girl of 16 living in the near wilds with her ‘Gramps.’ She converses with the ‘wild things’ in the wood beyond the stonewall, the fairies, the woodland creatures, the ‘Lady’ upon occasion. This dangerous roaming of the woods is kept secret from her Gramps. Girls go missing in the woods, girls who want more than just a settled life in the village. Marni is like that only more so. As you read her story, Gramps is introduced as the former King of the land who gave up his kingdom so he could keep his granddaughter alive after her mother, his daughter, had been slaughtered by the now King, her brother. Sounds gruesome, it is, and the reason this Princess was slain is one of secrets in the story. Marni goes to live in the castle once her Gramps has died and she becomes sole heir to the throne. Strange things are happening (Remember, this is fantasy.) as the woods encroach on the farms and fields and strange creatures have been seen. Marni has her own journey to make as the strange calling of the woods brings her face to face with the father she has never known and whom all in the kingdom fear. Her choices make her life what it will become. I found the characters to be unique. There really is no huge climax to the story but like the large wave that hits you every so often on a beach, you can still feel the power of a good story told. To me the story was part allegory; part fantasy. This is a strong title for female readers. Marni’s character may return in another book. I would welcome her. 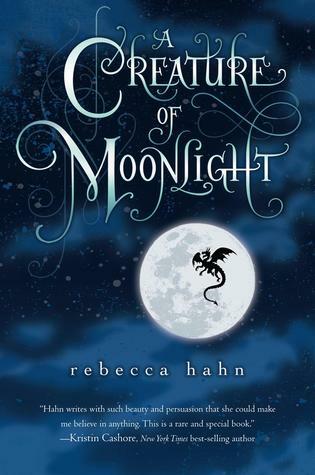 A good summer read or dark of the night winter tale. Really. 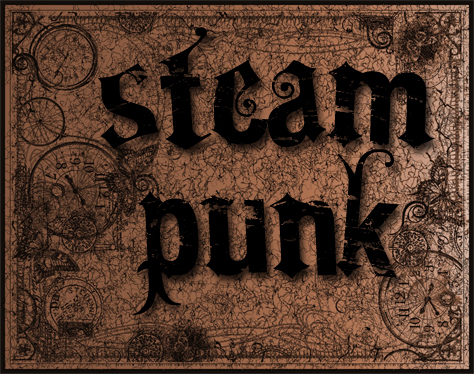 STEAMPUNK….coming to a Library near you. STEAMPUNK is a subgenre of fiction and an active subculture that highlights advanced technology in the altered past….whew! For our purposes, though, it’s the basis for creating the heck of nuts and bolts, old watches, lace, feathers, decaying leather belts and belt buckles, old jewelry, almost anything is fair game. 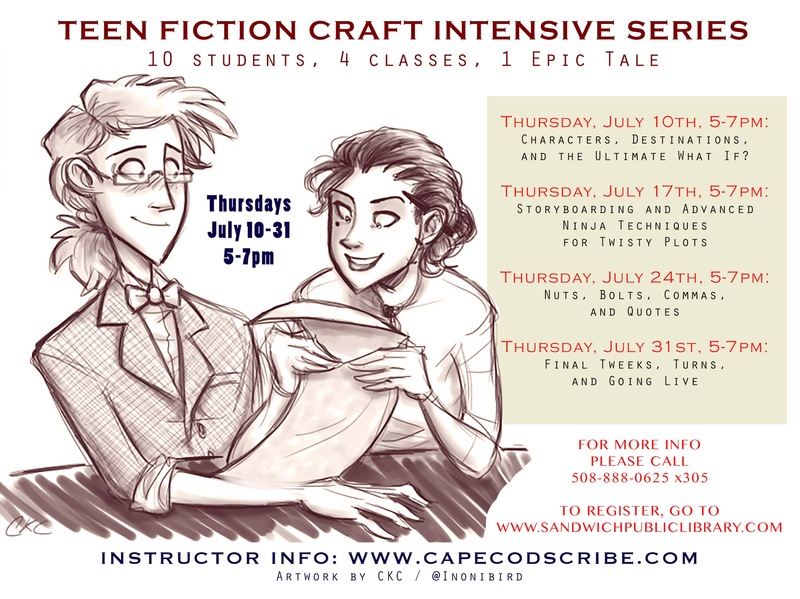 Nettie Berkeley, one of the co-founders of the Teen Artists Coalition of Cape Cod, brings it all together for you on Tuesday, July 1st from 3-6 pm. Bring yourself, ideas, maybe something you’d like ‘steampunked’…REGISTRATION IS NECESSARY BECAUSE SPACE IS LIMITED. TEENS 13 – 19 years only. Please register online HERE. Your imagination is the only limitation! 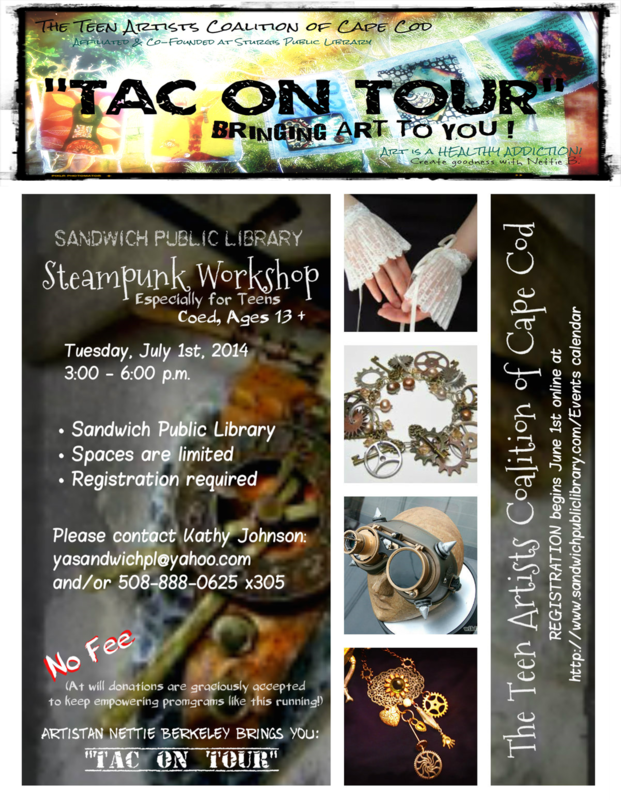 Create Steampunk artwork, crafts, jewelry, Steampunky Victorian – inspired accessories, gearhead goggles, repurposed projects and more! Teens, if you’d like to adorn any of your current fashions, please feel free to bring them along to Steampunk them out!